Buckle to attach 1 to 3 cords to one webbing. Best to use with 2 to 4 mm cords and 15 to 16 mm wide webbing. Webbing can be adjusted. 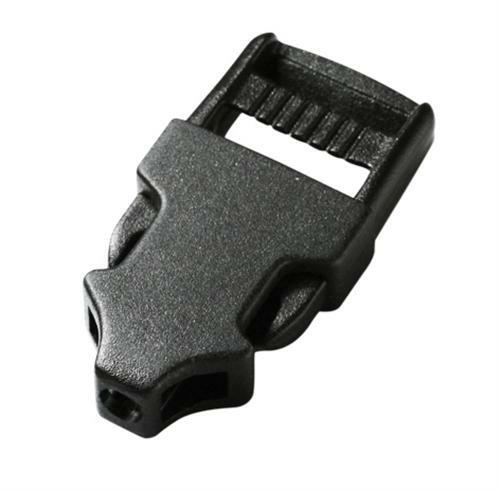 Versatile buckle for cord attachements. Just slide the cord through for easy installation. Holes for cord also at the ends. Female part has a bigger 5mm side holes. Includes both male and female buckle parts. Only 57 pieces left in stock, after the stock is empty this product is not available.